Dr. K. M. Salim and Rehman Gul Shahid/ Department of Botany, University of Peshawar, Peshawar. Vegetable tallow and stillingia oil from the fruits of Sapium sebiferum Roxb. 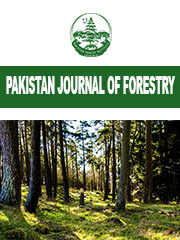 Ali Asghar Khan/ Divisional Forest Officer, Aerial Forest Inventory Project, Peshawar. Growing stock potential of silver Fir (Abies pindrow) in the Galis forests of N.W.F.P. Diseases of Juglans regia Linn. Diseases of Acacia modesta Wall.